Breast cancer occurs when the normal cells in the breast start growing rapidly and spreading locally. If left untreated, these cells can travel to other parts of the body and continue to grow. Besides skin cancer, breast cancer is the most common type of cancer and it is the second leading cause of cancer-related deaths in US women (lung cancer is the first). Preventing breast cancer is not possible in most cases, but thanks to a few simple breast cancer screening tests, we can detect breast cancer in its initial stages, when treatment is more successful. How do we Screen for Breast Cancer? You may hear about other ways to screen for breast cancer, but for average-risk women, screening mammography is the gold standard of care. A mammogram is an X-ray image of the breast that allows us to detect cancer at early stages, often when it is still too small to notice by touch. Currently, this is the most widely used and accepted screening method. While the other imaging techniques below may offer additional information, they should only be reserved for special circumstances and not for general screening purposes. MRIs use magnetic waves instead of X-rays to image the breast tissue. MRI detects breast cancers better than the mammogram, but because of its tendency to also over-diagnose cancer in healthy breast tissue, it leads to unnecessary, more invasive testing in people who do not need it. For this reason, a mammogram is still the gold-standard screening tool. Ultrasounds use real-time sound waves to visualize the breast tissue and are also not recommended for general screening. It can be useful as a follow-up to an abnormal mammogram, or in women with dense breast tissue. Women should also be aware of their normal breast tissue. If they notice any changes that are unusual or concerning, they should discuss them with their doctor. Evidence shows that women who have regular screening mammograms are less likely to die from breast cancer than those who do not. 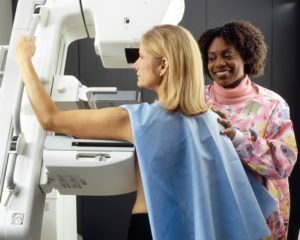 When does the breast cancer screening Begin? Recommendations can vary slightly depending on the source you read, so it is always a good idea to talk to your doctor about your risk factors and determine the best option for you. Average-risk women should start screening at age 40. For most women, this means scheduling your first mammogram at this time. 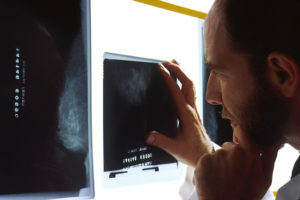 Some low-risk women may have the option to delay mammograms for several years until the age of 45 or 50. All women by age 50 should have had at least one mammogram, regardless of risk. Screenings should continue every 1-2 years until at least the age of 74. If cost is an issue, the CDC has resources to provide low-cost woman’s health services including mammograms. Check out their website to see if you qualify. What does my Test Result Mean? An abnormal mammogram result does NOT mean you have breast cancer. In fact, most women who are recalled for additional testing after an abnormal mammogram are found they do not have cancer. No screening test is perfect, and the mammogram is no different. In most of these cases, we perform a diagnostic mammogram where additional images are taken of the breasts focusing on the area(s) of concern. A normal mammogram result also does not guarantee that you are cancer-free. Studies estimate that mammograms can miss early cancers in up to 20% of cases. That is a scary thought, but it sheds some light on why it is important to continue scheduling your mammogram every year even if yours have all been normal. Each subsequent mammogram decreases the likelihood of missing early cancer exponentially — The odds drop to 4% after the second mammogram, and are just 1% after the third. If you have been putting off that mammogram this year, now is a good time to call and schedule it. Learn more about breast cancer and breast cancer screening. 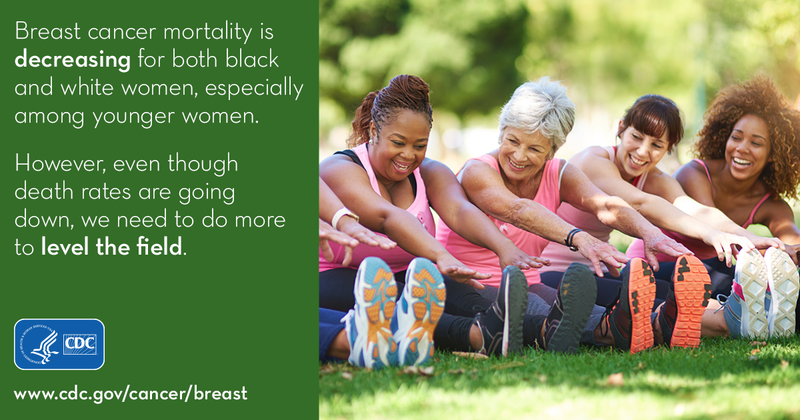 Know your risk factors by taking the NIH Breast Cancer Risk Assessment. Over the age of 40? Then it is time to talk to your doctor about breast cancer screening. Already had your yearly mammogram? Head over to the Insights Page to check that off your To-Do list!